do you need a ladder? 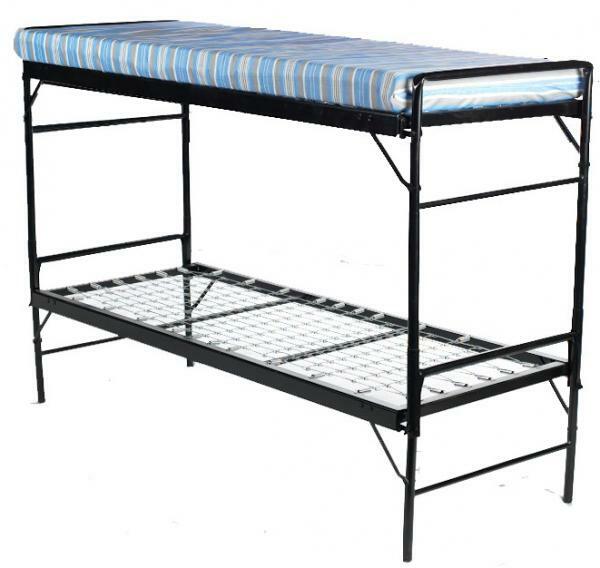 If you are looking for a top quality bunk bed that is used in many shelters and camps, this is your bunkbed. The solid angle iron construction makes this a bunk that simply won't break. The set comes complete with 2 foam mattresses. These beds can be set up as a bunk bed or set up as two individual beds. On-line ordering was very easy and the shipment arrived on-time as promised. In all we have ordered 50+ beds (25 sets) and are pleased with them all. 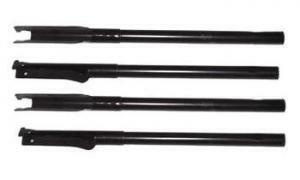 They are virtually indestructible in their construction. 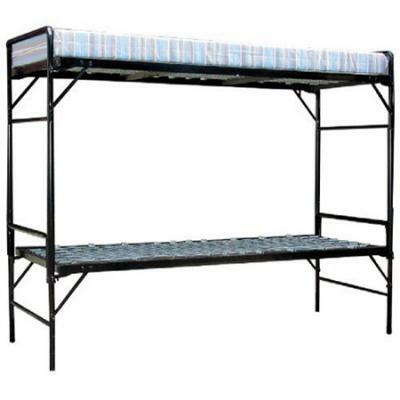 These units are used by our staff (adult men) and although I wouldn't recommend using them for everyday long-term use (as they are a little narrow) they work great for the small footprint available for our sleeping spaces. If we need additional units in the future, we will come back here for them. These beds are indestructible and well worth the price! They were very comfortable while in the armed forces. Now, at age 68, I just spent 2 weeks on one and I highly recommend these beds as a good buy. We ordered 2 sets of bunk beds and are very happy with them. We should have ordered them years ago. They are good quality, and they fit the scale of our limited space for guest sleeping over; mostly children. The perfect solution for us. This is a very nice bunk bed for a hostel-like accommodation, though a bit too narrow. Yet it works well for a night, easy to install, and is easy to clean. The bunk beds I ordered serve a great purpose! We have a hurricane recovery volunteer camp, and we needed something for the dormitories. These bunk beds were the answer. You couldn't ask for better construction. I'm a 290 pound man, and I climbed up on top to see how sturdy they are, and found out that they can support me, AND someone else! I've bought 60 sets, and I will definitely be buying more in the near future. Thanks for all of y'alls help! We have a hunting lodge, and the bunk beds were exactly what we were looking for and at a great price!Delivery was also very good. Have friends that also want them for extra guest beds in their homes.Very satisfied! 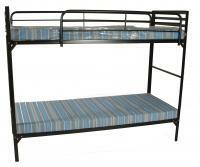 The beds are very sturdy and easy to put up and bunk. For our needs as an ambulance service they are fine! They are what we needed for the size of our sleeping area.